There's a Facebok group called Dead Mall Enthusiasts. 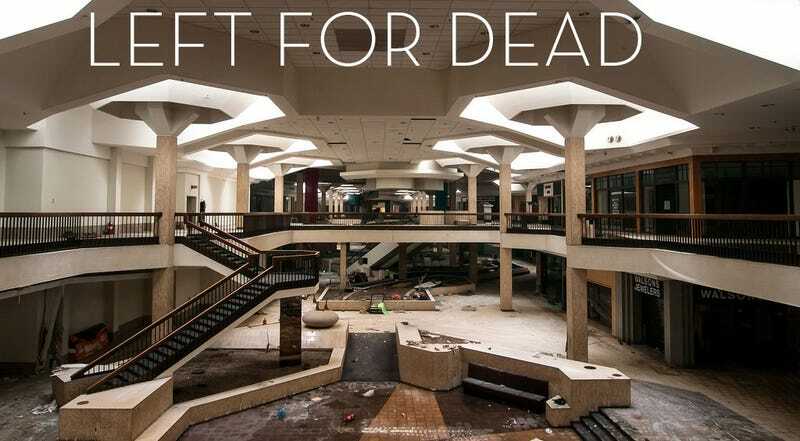 It's a fascinating collection of photos people have taken of abandoned malls across America. There are all kinds of socioloical reasons why that's interesting, but what's really got me is how they look like a video game artist's portfolio come to life. Left 4 Dead. Dead Rising. The Last Of Us. Sometimes, in the worst cases, even Fallout. I could have told you these were screenshots, or pieces of concept art for those games and you'd probably have believed me. Related is the fantastic gallery of Johnny Joo, whose site Architectural Afterlife chronicles abandoned buildings throughout America.